1962-1972 Mopar B&E Body Booster Conversion Kit including 8? 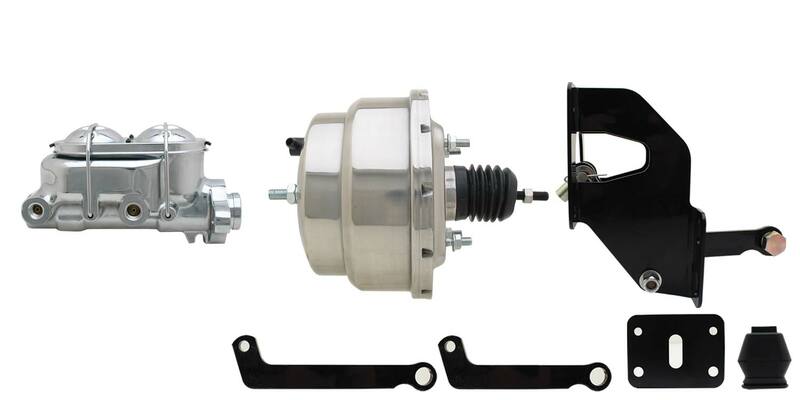 booster, master cylinder, proportioning valve kit with lines, bracket & mounting hardware. Kit comes complete with firewall bracket, pedal rod extension and clevis. Easily convert your manual brakes to power brakes with this easy to install kit. This system is designed to for a Disc/ Drumsystem. Disc/disc or drum/drum systems are available.